Welcome to Kylemore, in the heart of Connemara . . .
Our restaurant has one of the most stunning views in Connemara, and offers appetising home-cooked meals using only the best local produce. Both the bar and restaurant menus include vegetarian dishes and fresh locally caught fish. whether you are looking for a quiet, relaxing holiday or would prefer something more challenging, Connemara has lots to offer to suit all tastes and interests. Enjoy our unique tranquil and serene mountain-side retreat surrounded by woodland & wildlife. 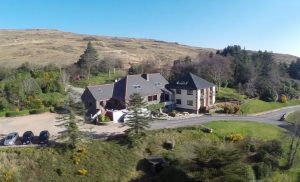 Kylemore Pass Hotel provides second to none Bed&Breakfast on the Wild Atlantic Way, owned since 1979 by Rose Rima and son Stuart. We promise, rest, and renewal to one and all as a refreshing change from your typical hotel. Wake up each morning to the comforts of home, linger over a second cup of coffee whilst enjoying our stunning views. Situated on almost 5 acres. overlooking the Inagh-Valley, voted by Lonely Planet as one of Ireland’s most scenic drives. 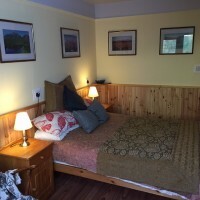 Modern Amenities, complimentary Wi-Fi, free parking, all round good value here in Connemara. 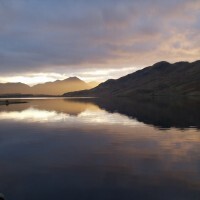 Situated in an area that hosts a multitude of activities, offering scenic drives and boat trips, close to top attractions Kylemore-Abbey, Connemara National-Park and Killary-Fjord. Or just relax and enjoy our own natural gardens with private trail up to the Belvedere stand, ideal for artists, with its stunning views to just sit relax and watch the world pass by. Often our city guests marvel at their ability to see the stars each night. Guests can enjoy the easy access to the sights and sounds of Connemara and the rural charm of the countryside. Our tranquil setting offers a piece of heaven on earth. You’ll have access to explore some of Connemara’s treasures. Although we have TV and Internet service, why not disconnect from it all and enjoy the peaceful and relaxing atmosphere. Sit a while and listen to the stream babble, as it flows down the mountain that we sit on, the frogs croak, the fish jump and the birds come in for a landing, on the gentle lake breeze as it cools your skin. Don’t forget to bring your fishing gear as we have a small brown trout lake. Let us help you plan at least some of the twists and turns in one of this earth’s un-spoilt areas to explore, & enjoy our wonderful area of Connemara, gorgeous views and the unexpected beauty as it unfolds around each bend in the winding roads, mountain ranges and hundreds of miles of coastline & beaches, whether you’re looking for the perfect place to swim, snorkel, sunbathe, surf, or just a get away from it all. Dog owners have a beach a day to choose from. 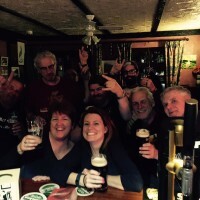 Enjoy the scenery and many activities that Connemara has to offer and then return, settling down in a warm, friendly environment in which to relax after a day exploring our surrounding country-side. Relax in individually decorated guest rooms or our guest lounge with an extensive library. You can relax next to a wood burning stove, with a hot chocolate, and enjoy a good book and good company. Maybe a drink in our Sailor’s Bar while you reflect on your day’s events and enjoy a restful relaxing evening. And there is an information point with tips on things to see and do while in Connemara. Maybe watch the sunset from the patio with the fragrance of lavender & heather in the air. “If you have a special occasion, we can help you make your stay memorable”. Inspired by the Great Western Greenway cycling route, now we have the Blueway a sequence of kayak & snorkel trails on Wild Atlantic Way our area; Killary- Harbour; Inishbofin-Harbour; & Glassilaun Beach.